I have a silly tagline. That’s fine, because many of my stories are at least a little silly. Those that aren’t silly are weird, in the very best sense of the word. My very best stories are both weird and silly. There is a meaning behind the words, though. I am a writer, and have been for many, many years, even though I only became serious about making writing my career a few years ago. I once thought that, in order to call myself a writer, I had to be multi-published. This isn’t true at all. There are many writers out there who never see their work published, either by choice or because the right publishing situation never happened for them. Being a writer is a state of mind. If you write, if you consider your writing to be an important part of your life, you’re a writer. I had no choice about being a writer. I would write even if I knew that I’d never be published. I do, however, have a choice regarding my hair color. I’m 43, and my hair started going gray long ago. In 2000, my hubby suggested I dye my hair just for fun, and I discovered that I really like being a redhead. Since I dye my hair myself, the particular shade of red varies wildly, but I’ve been a redhead for fourteen years now. In 2005, we brought home our oldest daughter for the first time. She’s a redhead, and she gets a kick out of the fact that Mommy dyes her hair to match. As far as being an outcast of Colorado, that is sadly true. I grew up in Longmont (north of Denver) but my parents moved to Vermont during my first year of college. I never really got to go ‘home’ again. A couple years of college in Wyoming, a couple years as a nanny in Connecticut, then back to Wyoming as a working woman. I met and married my hubby, then we moved to Vermont to be closer to my parents. We intended to move back west after finishing our college degrees, but eighteen years later we both have our degrees but we haven’t been able to move back. In an ironic twist of fate, my parents retired south shortly after my youngest daughter was born, so we no longer have any family locally. I miss Colorado. We’re still hoping to return someday, but a lot of things have to fall into place for that to happen. If it ever does happen, I’ll have to change my tagline. But I’m not changing the red hair. 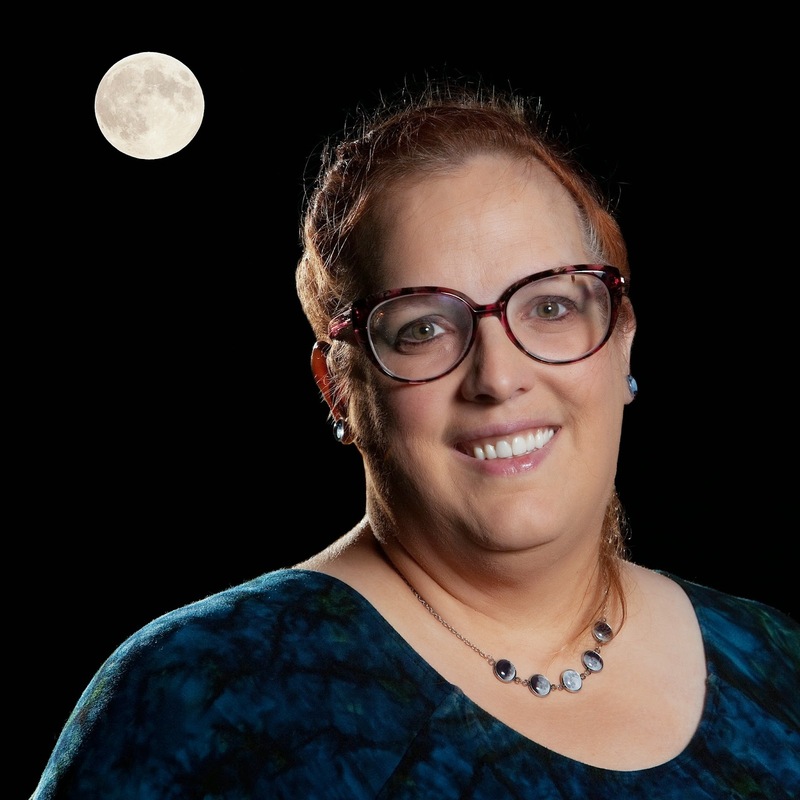 You can find her on Facebook, Google Plus, Ello @USNessie, and Twitter @USNessie or check out her Amazon Author Page. The Cities of Luna is a series of short stories about everyday life on the Moon in the near future. Collection One contains twelve stories, and a new story comes out with every full moon. Moon Dragons came out November 6, and Sheepless in Seattle will come out on January 5. 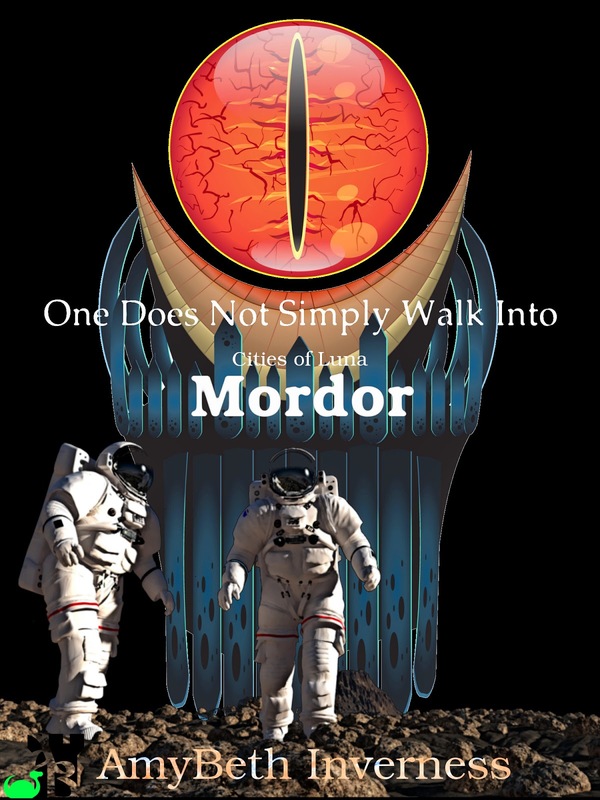 The latest story, One Does Not Simply Walk Into Mordor came out on December 6 and is now available at Amazon. Varen knows better than to trust his big sister, Usra, who has gotten him in trouble more times than he can count. But of all the shenanigans she’s perpetrated, getting them stuck outside their city of Mordor, in surface suits on the lunar regolith, takes the cake.